First of all, for those southerners here that know what real gravy is, this isn’t it. No pan drippings thickened with flour, milk or broth, and then seasoned with salt, pepper and tabasco. Nope, it isn’t that. Sunday Gravy is an Italian-American dish, an extra hearty, meat-centric concoction of meat simmered in tomato sauce and served on pasta. Usually it has meatballs and Italian sausage at minimum. Then it may have pork chops, pork loin, beef roast, chicken pieces, or any other assorted meats cooked into it. And it simmers all day, so whatever meats are in it, they are fall off the bone tender and delicious. Most of you and many Italian-Americans themselves would call it pasta sauce, instead of gravy. You see, among Italian-Americans, the sauce versus gravy debate is as heated an argument as the equally long running Texan feuds about beans or no beans in your chili, sauce or no sauce on your ribs, or country fried versus chicken fried steak. I say on all counts—who cares? Call it what you want, eat it how you wish. You should eat food the way you like to eat it, and It will taste the same going down no matter what you call it. I call it gravy, because that’s how I learned it. Although I am not Italian, I often think I should have been. I live in the kitchen, cook for everyone within a 3 mile radius, and can’t talk with my hands tied behind my back. My kitchen is loud and busy, and full of people and laughter and food. Sunday Gravy is, for me, the quintessential Sunday family meal. One of those dishes that takes all day to prepare, but there is never a question that the time and labor is worth it. It’s something my Granny would have made on those days when the whole family gathered at her home for dinner. It is a meal that will grab your dinner guests by the shoulders, kiss them on both cheeks, and shake them vigorously while shouting “ I LOVE YOU” right in their face. It tastes like THAT. As long as it takes to make, it mostly passive cooking time, so don’t be turned off by that. The long simmering time is what allows the sugar in the tomatoes to caramelize and develop fully, and for the meat to render down into a fabulously tender ragu…Next time you are cooking a large meal for people you really love, let your inner Italian Grandmother out and give this a try. **to make meatballs uniform and fast, I use a 2” cookie dough scoop. Roll them just enough that they hold together—too much rolling will make them tough and very dense. **although you can use any canned tomatoes, I would only use the cheap ones if you cannot find anything else in your area. At the very least, use a brand that lists only tomatoes as ingredients on the can. If salt and/or citric acid is listed, the tomatoes do not have a good sugar content. Try to find San Marzano tomatoes–Cento brand crushed tomatoes are widely available. The end result is far superior. **I smoke my boneless ribs before adding to the pot, but this is optional. In a large bowl, mix together the first nine ingredients. Mix until just incorporated–do not over mix the meat mixture or the meatballs will be tough. Form meat mixture into balls that are 2″ in diameter, or slightly large if you wish. Heat olive oil in a large skillet to a medium high heat. Brown the meatballs in batches, on all sides. Place them in a large Dutch oven or non-stick stock pot as they are browned (they will not be cooked through yet). Keep Dutch oven on medium low heat. Cut sausage into 1 inch pieces (leave in the casing). Brown in the hot skillet and add to the Dutch oven. Cut boneless ribs into 2” chunks. Brown in the hot skillet until a nice crust appears on all sides. Pour meat and hot oil to the Dutch oven. Cover with remaining ingredients, stir gently, and cover. Simmer over medium low heat for 3-4 hours. Serve over cooked spaghetti or linguine. We made Sunday Gravy yesterday. Our recipe is about the same as yours. And, I had leftovers in my lunch today because I loved it that much. It is one of my husband’s specialties. 🙂 We are not Italian but I think we should have been. This Italian had never heard it referred to as gravy until the blogosphere told me. Rachel Ray called it gravy…the first time I ever saw it made with all that meat. If you live north of Virginia, it’s gravy — whether or not you are Italian. I, on the other hand, dip my DQ steak fingers in gravy. 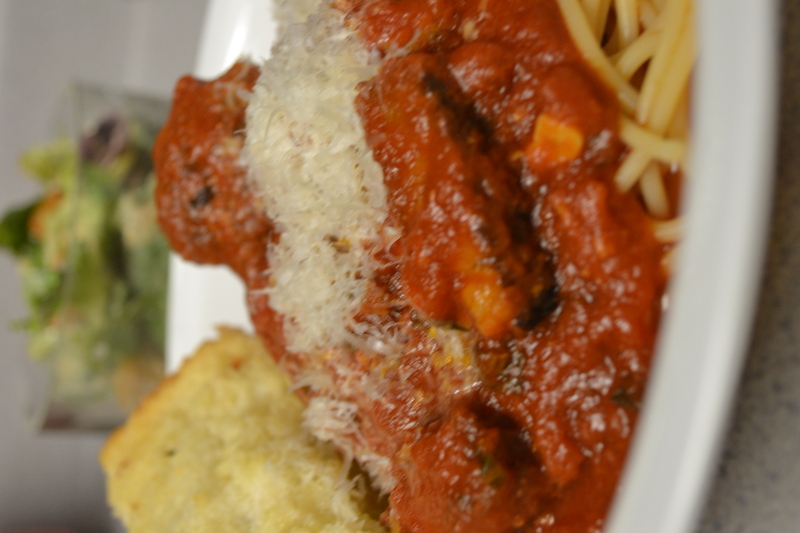 Your Sunday gravy looks awesome! The idea of smoking some of the meat intrigues me. Yeah….the smoke adds a little sumthin sumthin. This looks amazing, and you’ll be happy to know that my husband’s Nana and Tato (born and raised in a tiny village north of Rome) always called their red sauce “gravy.” Could be a translation thing, with English not being their first language, but I think you can call it “Sunday gravy” with pride. I never got to meet my husband’s Nana and Tato, but their’s always included pepperoni, chicken, and meatballs, which would stew in the pot for hours and hours. And always homemade bread. I’m stunned by this. I have been making a version of it for 45 years taught to me by my Swedish mother-in-law. While expecting her first child she lived in Waterbury, Conn and lived upstairs from an Italian family. The woman cooked for her and my first husband was born loving Italian food. I use imported tomato sauce that is in glass jars. Found them at an Italian Deli. Her recipie was very much like yours. Cooked all day and all the weeks leftover meat went in. Everyone still loves it. What an education I’ve had today. Thank you so much. Never heard of this, but I’m sure my family will love it! Thanks. Wow. Never heard of this and I suspect it doesn’t exist in the UK – looks tasty though! So much meat – how many servings would you roughly expect to get out of this? Yes, this is definitely an Italian American thing. It feeds a small army. Twelve teenage boys or 18 other folks…. Sounds wonderful. I can almost taste it and my mouth is watering. Thanks for sharing the recipe. Great article! I totally agree with you! 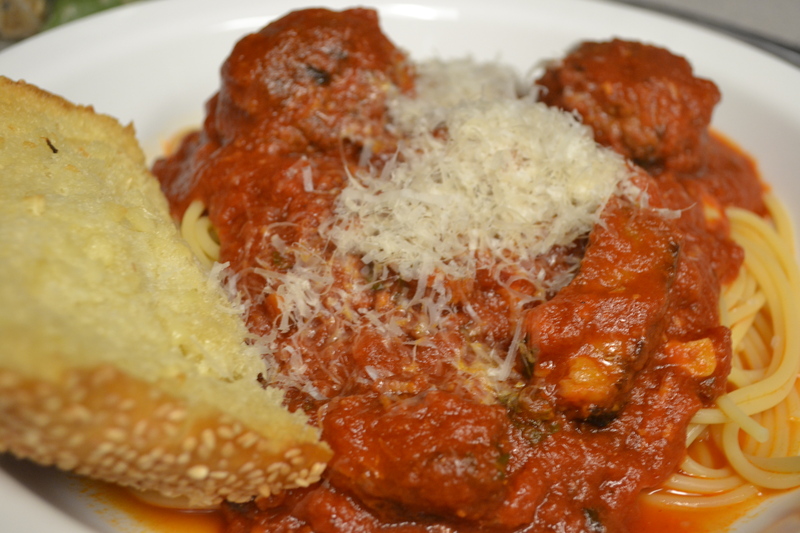 It does not matter if you call it pasta sauce or Sunday gravy with all the meats! What matters is that you pour lots of love into the sauce, add lots of meat and cook it all day! YUM! Here is my version of pasta sauce/Sunday gravy. http://spaghettisauceandmeatballs.com/ – It’s my labor of love! An effort to keep my Italian grandmother’s recipes and love for food going on into the next generations! Making the Sunday Gravy is not just cooking, it’s an event and much more! There is much love and laughter share in the kitchen and at the table during the entire process of which is priceless!